Elara Pro comes built in with a Shop This Post feature which is simply a specially designated spot for you to recommend products, links, or services. This section is very flexible and can even be used to link to other pages within your own website, such as galleries, special posts, etc. A typical use of this area would be to display a shopping list for a recipe. You can link the products to your affiliate links, thus creating a seamless, well integrated affiliate / monetization system in your blog. See it in action on our demo, by going here. 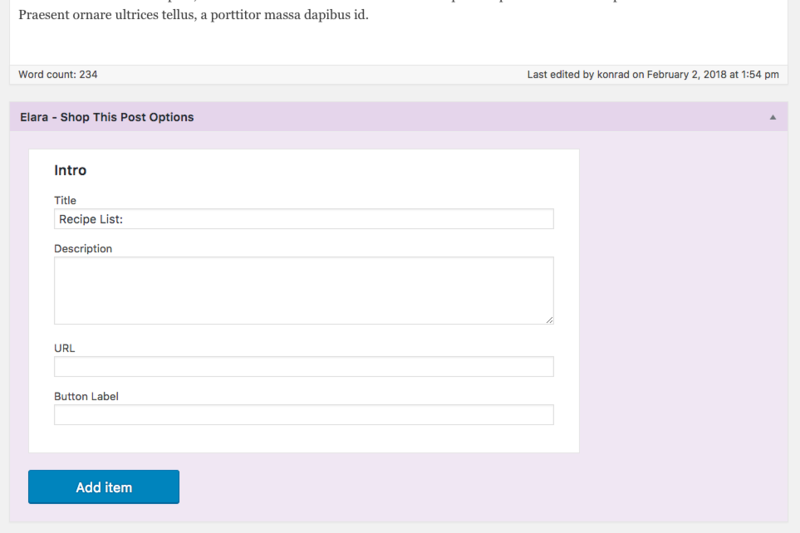 To use this feature, go to the Post Editor on WP Dashboard, by either adding a new post or editing an existing one. 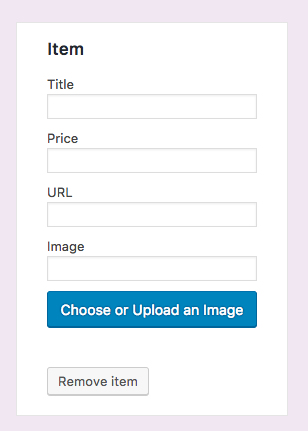 Below the post content field, you can see a light purple field named "Shop This Post". Here, you can add an Intro, consisting of a title, description and a button with URL. This field is for general information about the entire list of items. In order to add a new item to the list here, click "Add Item" at the bottom of the field. Here, you can add a new list item, with a title, price, link to the store, and a thumbnail image. Please note, you can add as many items as you like to this area!